In collaboration with The Wireless Foundation, Trend Micro Internet Safety for Kids & Families and The Verizon Foundation, the new "BeSeen" educational app for Apple iOS helps teach kids how to use social networks safely and wisely. Santa Ana, CA– October 12, 2011— Carnegie Mellon's Information Networking Institute (INI) and Web Wise Kids, a national non-profit organization and recognized leader in Internet safety education, announces the launch of an educational mobile application (app) that engages kids who are beginning to use social networks in a game about online safety when accessing social networking websites via their mobile devices. It was developed in collaboration with The Wireless Foundation and Trend Micro Internet Safety for Kids and Family, with additional funding from The Verizon Foundation. It was created to enable kids around the world to learn how to use social networks safely and responsibly. The app is available on Apple's iOS and will be available on the Android OS later in the year. 'BeSeen' is a single-player game that simulates a social networking site where players create a profile and travel through a condensed school-year, with each game day equaling a fraction of a minute in real life. To earn awards, the player must make positive choices when presented with challenging social situations and solve puzzles along the way. The game is designed to help kids understand responsible online behavior such as securing their personal information, protecting their privacy, and defending their peers against cyber bullying. "For more than a decade, we have been developing resources to equip young people to safely be their own first lines of defense when it comes to smart Internet use,'' says Judi Westburg Warren, president of Web Wise Kids. "We are thrilled to have this educational app reach millions of youth in a fun and unique way." "In creating this mobile app, we're combining the strengths of two organizations with experience and passion for online safety. We have mutual respect for each other's use of educational games to engage young Internet users and teach lasting lessons in cyber citizenship. We've also joined forces with global security leader Trend Micro and The Wireless Foundation, two organizations dedicated to online security, privacy and the education of kids and families about all of these issues. I feel it's a tremendous opportunity to reach teens through mobile devices,'' says Dena Haritos Tsamitis, director of the Information Networking Institute and head of education, training and outreach for Carnegie Mellon CyLab. "The Wireless Foundation is proud to help provide such an important and valuable tool to help children become better aware of the challenges and risks in today's digital world," says Steve Largent, president of The Wireless Foundation and president and CEO of CTIA-The Wireless Association®. "The new mobile app presents users with a compelling experience that effectively conveys the responsibility children have while utilizing social media, and the possible consequences of inappropriate behavior." "It's never too early to talk to kids about safe online behavior, particularly when accessing social networks," says Lynette Owens, director of Trend Micro Internet Safety for Kids & Families. "Using the Internet is an important life skill. As parents introduce new technology to their kids, this is another tool they can use to help their kids make good choices." The new mobile app and game will be featured by CTIA- The Wireless Association® at its international conference, CTIA Enterprise and Applications™, October 11-13, 2011. As many as 7.5 million Facebook users in the U.S. are under age 13 -- a violation of Facebook's user policies -- according to a new study by Consumer Reports reported by Ad Age. "Despite their popularity, social networking websites saddle children with risks to their privacy and personal information, particularly when these sites take bold and sudden actions to share and publicize the data of their users. Our latest collaboration is intended to raise cyber awareness and digital literacy in children before they face such risks and to guide them towards being responsible online citizens, "says Tsamitis. 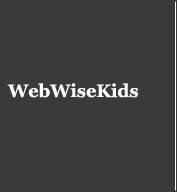 Web Wise Kids (WWK) is a national non-profit organization, "Dedicated to promoting a culture of safety, respect and responsibility for youth and families in this digital world." WWK does this by creating and distributing interactive content through the same media in which kids and adults live their lives. WWK programs have reached over 10 million youth and thousands of parents nationwide. For more information on Web Wise Kids or to make a donation, visit http://www.webwisekids.org/donate. Follow Web Wise Kids on Twitter at @webwisekids, Facebook at http://www.facebook.com/webwisekids or YouTube at http://www.youtube.com/webwisekids. About Carnegie Mellon University: Carnegie Mellon (www.cmu.edu) is a private, internationally ranked research university with programs in areas ranging from engineering, science, technology and business, to public policy, the humanities and the arts. More than 11,000 students in the university's seven schools and colleges benefit from a small student-to-faculty ratio and an education characterized by its focus on creating and implementing solutions for real problems, interdisciplinary collaboration and innovation. A global university, Carnegie Mellon's main campus in the United States is in Pittsburgh, Pa. It has campuses in California's Silicon Valley and Qatar, and programs in Asia, Australia, Europe and Mexico. The university is in the midst of a $1 billion fundraising campaign, titled "Inspire Innovation: The Campaign for Carnegie Mellon University,'' which aims to build its endowment, support faculty, students and innovative research, and enhance the physical campus with equipment and facility improvements.